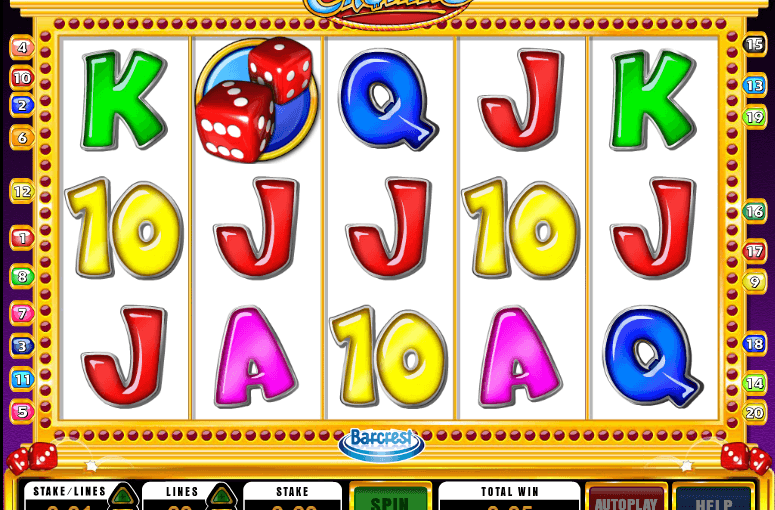 Cashino Slot is a 20 line, 5 reel online slot game powered by Barcrest Games. The maximum payout on Cashino Slot is a cool £250,000 and you can play from as little as 2p per line up to £5 per line. The game has 3 bonus rounds, which is more than most online casino games. The wheel spin bonus is activated through the roulette icons, the card bonus is activated through card symbols, and the free spin bonus is activated through the dice symbols.